Showcasing your brand through social media platforms is a great way to create awareness, advertise services or even drive sales. No matter what your company’s goals, maintaining a presence on social media is increasingly important in this day and age. In the U.S., more than 78% of the population keep social media profiles. Along with having a reputable website, your brand’s social media accounts are often the first point of contact for consumers. But for businesses, social media involves much more than merely setting up a profile page–for social media to work for your brand you have to put in the effort and resources behind it. And while there is no silver bullet strategy to success, there are a few crucial social media content mistakes to avoid. Before embarking on social media ventures, you’ll need a strategy for your brand or business. Without a plan in place, your social media efforts could be abandoned, or your content could be lost in the clutter, wasting time and money. Make sure that you’ve defined your brand’s voice and determined who your audience is, as well as your target demographic, before you set up social media profiles. Have your goals aligned, as well as ways to measure your success. Are you trying to boost brand awareness? Or generate leads for potential sales? Create a content calendar to keep your social media team on a schedule and to ensure that your brand’s profile stay active. One of the biggest social media content mistakes you can make is spamming your followers with content—especially if you’re only posting about yourself. Social media channels are constantly improving their algorithms to detect spam and penalize those accounts that are taking advantage of the platform. Obviously, you want to share information about your business, but make sure it is relevant, interesting, and provides value to your audience so they will like, share and re-post. Establish authority by sharing industry news, customer success stories, or tips that could be put to use by your followers. In every instance and on every social network failing to engage with your audience or within the community as a whole is counter-intuitive to your social media strategy. Use these platforms to form relationships with others by liking, sharing, re-tweeting and commenting on relevant content. By building and fostering relationships within each social network, you can expand your following, reach an audience not previously targeted and, hopefully, convert these users to potential sales or brand ambassadors. To protect your reputation, make sure that your brand’s voice remains consistent, and each connection is from a reputable source or person. Don’t involve your brand in meaningless altercations with cyber trolls. Chances are your marketing and content creation departments have devoted lots of time to developing all sorts of beautiful branded collateral like logos, blog posts, email marketing campaigns, presentations and more. Make sure you are utilizing this owned material in your social media strategy—incorporate everything from branded colors to an interesting graph from a company report into your social media content. Each social media platform functions in different ways, and failing to adapt your content as necessary means that your posts will be ineffectual at best, and could have unintended consequences at worst. Do your research before you start signing up for services and figure out which platforms would best suite your brand, your audience, and your marketing goals. Because each social media platform operates in its own way, you’ll have to alter your content accordingly. Sometimes it could be a limitation set within the framework of the social media channel, like the 140-character count on Twitter, or it could be a more obscure understanding of the social community as a whole, like the DIY-association of posts on Pinterest. No matter which social media outlets you choose, make sure that your brand messaging stays consistent. 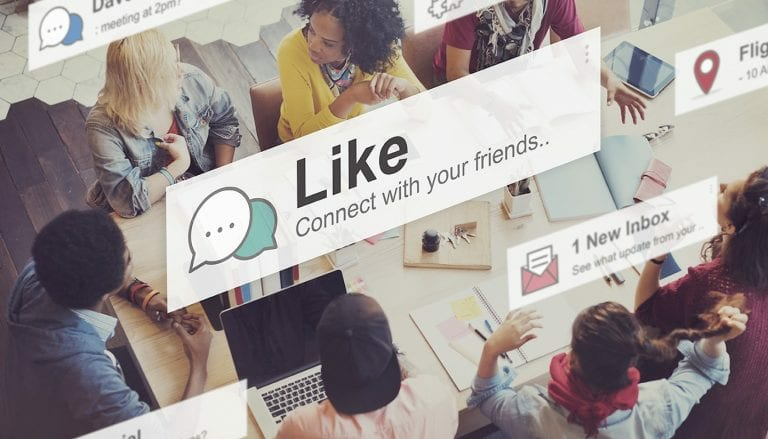 With a little creativity and time, you can maximize the strengths of each social media network to widen your audience and increase brand awareness. If you need assistance implementing social media content, or don’t know where to begin with a brand-specific social media strategy, Front Porch Solutions can help. Our team of experienced marketing strategists that can help you expand your audience and enhance brand awareness.